From a cardioid to a Jarvik: the human heart and its understanding across millenia. The ♥ icon is used all over the world as a pictogram of the human heart, and as shorthand for affection: ♥ = heart = love. It is the most commonly recognised symbol on the planet after the cross and the crescent. But though we see it all the time, and teach its meaning to our children, its associations with the organ of circulation, and indeed love, are neither ancient nor instinctive. The ♥ shape has represented a variety of things across different cultures over time, ranging from genitalia to cosmic wisdom; the heart, meanwhile, was an enigmatic organ for most of history, whose biological function was not understood until 1628; and the emotion of love, if associated with flesh instead of mind or spirit, was equally likely to be linked to the eyes, the head, or the liver as to the heart. The story of how the ♥, the heart, and love came together is a romantic tale. This entry was tagged Chapter 46.1: Circulatory and Respiratory Systems. Bookmark the permalink. ← The i-Limb Ultra Revolution: an app controlled bionic hand. I find it interesting how there is so much history behind a simple shape, the next time I see a cardioid I will know exactly what it means and the association it has with what people a long time ago thought the heart’s function was. I encourage you to check out the link to the full article. There is a lot of very interesting information about not just the cardioid, but universal history in general. Don’t worry, I already read it. I see what you are saying. Actually, it is said that the shape of the cardioid mimics two swan kissing. I have always asked myself that same question. Why doesn’t the heart symbol resemble the actual heart? Nevertheless, it is interesting how depending in the culture, opinions on its resemblance can vary. The same thing goes with star constellations. For some cultures they can represent a bear, a king, or a national epic; for other they can be very different things. It’s very ironic how such a distinct figure such as the cardioid gained such an immense recognition by these simple associations with the heart and the emotion of love. Even though the origin of these is a nebulous subject, these associations are what give this shape its significance thus resulting in our frequent use of it in our daily lives. Symbols are a very important part of the human experience. The field that studies symbols is called ‘semiotics’. I encourage you to do a Google search of the mentioned concept. I’m more interested in the Artificial Heart than the origin of the symbol. I’ve always found the human body interesting, but even more interesting is how we can imitate such a complex machine by ourselves. I wonder how long it’ll be until we can develop every single organ of the human body as a replacement for the original one. Do a Google search of the Jarvik heart. You’ll find a wealth of information about different types of artificial hearts—especially the ones used in the last few years. Also, you’ll find information about Jarvik, the inventor of the human heart. He got in a lot of trouble in the past few years because of some unethical practices regarding his invention. I find extremely interesting the Artificial Heart since it demonstrate how much technology has advanced through the years. If we created an artificial heart which is one of the most complex organs then it won’t surprise me that in time more organs will be created. But I also worry that by creating all those artificial organs we as humans get lost in the inventions and we never now what the future holds for us. Let’s hope for a responsible use if such technologies in the coming decades. It’s amazing how human beings put a symbol to everything! Coming to think of it, we need something concrete to rely on, like photographs in memory of a person. I think that beside the “romantic tale” leading to the ♥ symbol, it maybe had come to be with popularity; someone somewhere maybe painted it because he or she thought it was an interesting or some other thing. Curiously enough, even though today we know that that is not how the heart is really shaped, we still use it even in biological terms. Reality is a very complex thing to grasp, so humanity needs symbols—such as the cardioid; even words are symbols. Symbols are a matter of convenience, and the cardioid still proves to be a convenient enough symbol; like «love» is a convenient enough word to describe whatever we feel—via endorphins and neurotransmitters traveling through are bodies—when we are with someone we value. 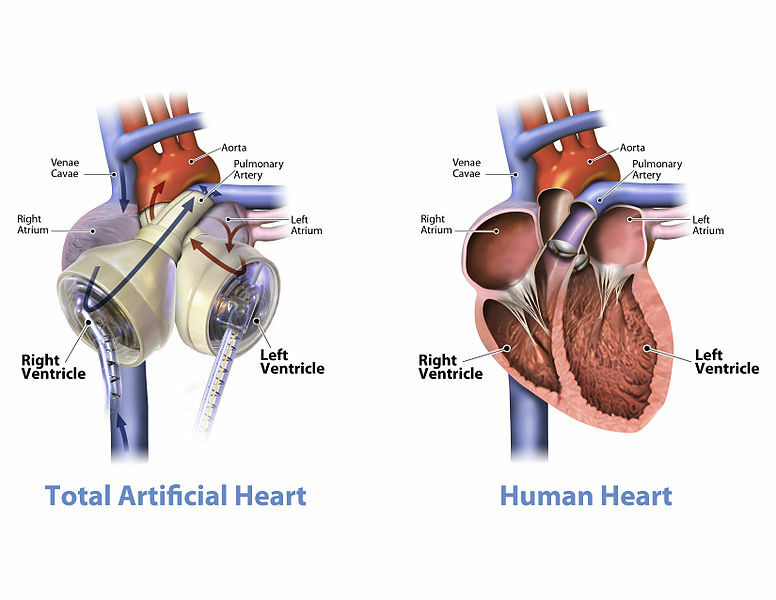 I’m impressed with the artificial heart because how the person can feel that technology inside the body.And how could it work inside the human body plan. I saw a impressive picture how the cardiologists made an incision to put an artificial heart in the body.You could visit this site: https://thehypertextuallounge.wordpress.com/2013/04/23/from-a-cardioid-to-a-jarvik-the-human-heart-and-its-understanding-across-millenia/#comments. Even when the artificial heart is a stage before actually transplanting the permanent heart to the patient, it is impressive. One observation, Aleiri. There seems to be an error with your hyperlink. Apparently you copied the wrong link. I’m still interested in checking out the surgical procedure you talked about, though. Put the hyperlink again when you can. It is interesting how different cultures develop their own symbols over time, but what is more intriguing is that different cultures from different countries can all sort of coincide on using a single symbol to represent an object. We may all speak different languages, however we can still communicate with each other through symbols. I found this paper on how symbols are being used as a way of advertising; by using symbols they can reach a far wider audience. A very interesting paper. Symbols convey meaning in ways that whole books cannot. That is why a piece of art, full of symbolism, can say so much; while pages and pages of text badly written can say so little. Symbols occupy a very important role in psychology. They can convey feelings, and these can be observed and annotated by professionals—that is why marketing practices use psychologists and artists in their campaigns. I encourage you to do a Google search of the concepts «Car Gustav Jung» and «symbols». I learned something new in biology and that is about how the heart functions. Anatomy is my favorite topic especially the heart because i sometimes get curious on why we get certain things. This diagram shows a perfect example of how our heart really works. Yes. It perfectly illustrates how the ventricles are oriented—even when they are substituted by artificial chambers. Applying knowledge discussed in the classroom to the illustration of this post, is a good way to study for your final, Daisy. wow this really amazed my eyes to see how a full artificial heart function like a real heart it even might be a good opportunity for scientists to challenge themselves and try it on humans to see if it can expand our life span. I’m looking forward to see an operation of this kind of heart to a human in the future. I give thanks to those people that took the chance in old times and had the bravery to go and keep investigating dead people’s heart even though it was against their will and against the law. Would’nt the plastic or the metal on the artificial heart affect the blood or something like that? Btw the heart shape ❤ is two hearts together! Check it out on the link! There are special metals, plastics etc. that are used in many types of surgical interventions without any type of side effects. 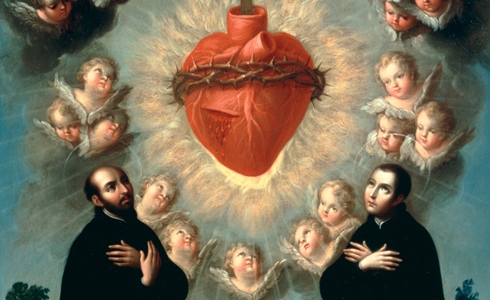 It is amusing that the association between the heart shape and love was created by a love story centuries ago; given the points that love dosen’t really has anything to do with the heart. A very interesting observation, Ana. Even when love is a very powerful emotion–it has basically inspired almost every type of art; many wars owe their cause to some warped sense of “love” as well–it has nothing to do with this extremely important organ. Love, in its biological sense, is a cocktail of neurotransmitters, chemicals and circumstance. Interesting. I never really knew why people used that symbol to represent a heart. I was always confused because it doesn’t look like the actual thing. Symbols can be quite confusing. But they can be very useful as well. So much more can be said with symbols than with words. Dr. Robert Jarvik was the one who the designed the first artificial heart. http://shows.howstuffworks.com/40349-the-stuff-of-genius-the-artificial-heart-video.htm this link takes us into a video that explains the whole story. Great contribution, Andrea. This is precisely what I want you guys to do: research. hey I found an artificial blood vessel read this http://www.popularmechanics.com/how-to/blog/breakthrough-bioengineered-blood-vessels-enter-clinical-trials-15417532?click=pm_latest now people won’t have to worry for blood clots. This innovation in bioengineering is pretty convenient for people who have kidney failure. Great find, Adrian. And in combination with artificial heart, and artificial blood vessels, a cyborg inside and outside the body can be a possibility in the 21st Century. Is incredible , the artificial heart is very similar to the real one , it’s cool that scientist can create artificial organs that the human body can receive. I have always wondered why they used that symbol if it looked nothing like the heart itself. It was really interesting to read that and to actually know that shape has nothing to do with the heart and what other things it used to represent. The cardioid has been with us for many centuries. I believe that it will be with us for many more—thanks in part to Saint Valentine’s Day. Remember to use the names of the chambers of the heart when referring to its anatomy—it is actually a good way to study for the final. I have always been curious on why the ❤ symbol was the way it is, since it doesnt even look like a real heart. This post finally answered my question, and if i were Jarvik, I wouldn’t even have half the guts he had. So, he’s not only a very smart fellow for creating a replica of a heart, but also brave. However, if one organ can be replaced, doesnt that give us an idea on trying to replicate all the organs? If so, could it be possible to create a “person” totally robotic or everything replicated? I love the human heart, but my favorite human organ is the brain. it is really interesting how the heart works and the function. its is also interesting how you can replace some pieces of your heart that actually function the same. i find really interesting how people used to think that the most important part of the body that keeps you alive is just where the soul is. That such an important organ is compared to love or feelings. I find Robert Jarvik a very brave man to make a creation like that with a society believing something realy different about the heart. It must have been a huge diappointment for many people to discover that the heart is just a mere pump. it is kind of cool to see that an artificial heart can work as a human heart then now the people that need a heart for a special reason they can use the artificial one. I encourage you to research on the artificial heart via Google. I’m pretty sure you’ll find amazing things. I do agree that the The story of how the heart and love came together is a very romantic one. I think that this should be explained to the kids when they are groing up, to learn about history also and not only what that shape symbolises love like if it where a triangle or a square, but that it has a deeper meaning that would be so interesting to learn about! Any age is a good age to learn about the origin of symbols. As you just stated, we can learn about a lot of different subjects with just one topic. That is a pretty good way of learning. This picture really amazed me because it shows you that every single part of the eart is very important. That the heart is very important and it can not function the same without a part or something that completes it. its amazing how an artificial heart can work inside a human body. Its really curious how doctors can replace the heart to an artificial heart, but doesn’t it affects the cycle of your body or any parts of your body because of those chemicals? The blood that will flow, thanks to the beating of artificial ventricles, will be the patient’s. I believe there’ll be no risk of rejection—speculatively speaking. I encourage you to share a link that sheds more light in the matter. It is amazing how humans have developed the artificial heart and how it works! This can help to save many lives and cure many people in an easier and safer way. It sounds pretty far fetched, but could it be possible to make a part of an artificial brain maybe?? An artificial brain is beyond the capacities of actual technologies. I believe the artificial brain will be a reality 30 years after the landing on Mars. But I wouldn’t be surprised if I’m wrong. It is interesting how humans have made an artificial heart but the real question is for how much time will it work? or how much maintenance would a person have to undergo the keep that heart healthy and working? The Syncardia lasts for three years. That should be enough time for a donor heart to be available; or for a name to be bumped up a couple of slots in a waiting list. I’m interested in how the origins of the cardioid symbol have no resemblance to the actual human heart. The heart being a crucial organ for humans, i would think more attention would have put on it. The use of the artificial heart is great too helping people who have lost hope keep on living a strong, healthy life. “Suffice it to say, if you can use a digital computer to read and write data to your body’s cells, there are some awesome applications. If you need a quick jolt of adrenaline, you would simply tap a button on your smartphone, which is directly connected to your sympathetic nervous system. You could augment your existing physiology with patches — a patch of nanoelectric heart cells, for example, that integrates with your heart and reports back if you experience any problems. When we eventually put nanobots into our bloodstream, small pulses of electricity emitted by the cells could be used as guidance to damaged areas. In the case of blood vessels and other organs, the nanoelectric sensor network could detect if there’s inflammation, blockage, or tumors. It is interesting to know how a synthetic heart works. Patients with an implanted synthetic heart will still have atria that beat at the same time, but the artificial heart, which replaces both ventricles, can only force blood out one ventricle at a time. So, it will alternately send blood to the lungs and then to the body, instead of both at the same time as a natural heart does. It is able to pump more than 10 liters per minute, which is enough for everyday activities. It’s very interesting how the people back then used know how the heart worked. It’s quite different than what we know now. Because we are so advanced in technology and stuff. And I asked my self why do people never use the actual shape of the heart when they are used as symbols. Symbols are very powerful tools, even when they fail. It’s amazing how people’s creativity now-a-days is expressed even scientifically. The painting is exactly that two totally different things (science and art) combined to form a piece of art. And the two hearts is amazing as well because the artificial heart is possible because of todays technology. What if you put two real hearts togeather? I believe the shape would resemble a lot the shape of the icon, heart. Like if there where two halves of a whole. ❤️❤️❤️❤️ Two soul mates waiting to find each other. There are many mysteries in the world and i can’t simply think that things dont have a meaning. This is this way because that, is just the way it is. The heart is one of the mysteries that i would love to learn more about. i consider this idea very good in the way we are progressing with technology to help people that suffer from many disease that causes them to have to take their heart out. Dr. Alan Carpentier which is the surgeon who came up with this new device that wants to try to permanently substitute the real heart with the artificial heart, i have some concerns if the heart can be replace with something technological, also its so amazing how that little organ can have the strength to pump out blood to the entire body. Everything has its pros and cons. A question came to me which was if this artificial heart can work exactly as the normal heart, can it beat between 60 to 100 times per minute like a natural heart? Technology may have some minor details but nevertheless it may outrank the real heart in many aspects.